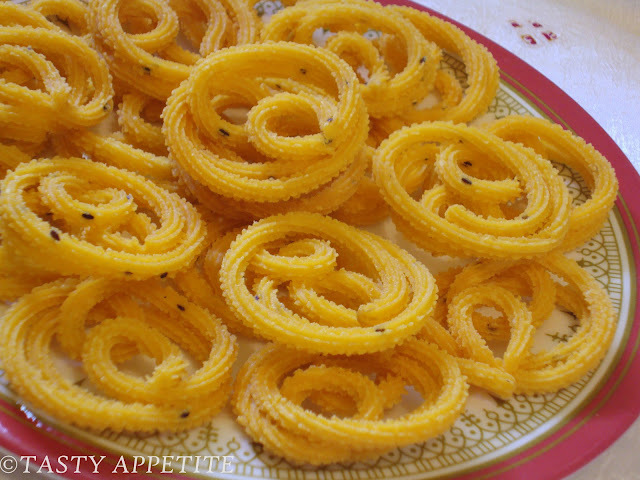 Mullu Murukku is a hot savory snack loved by everyone. It is commonly prepared on festivals, weddings and other occasions. 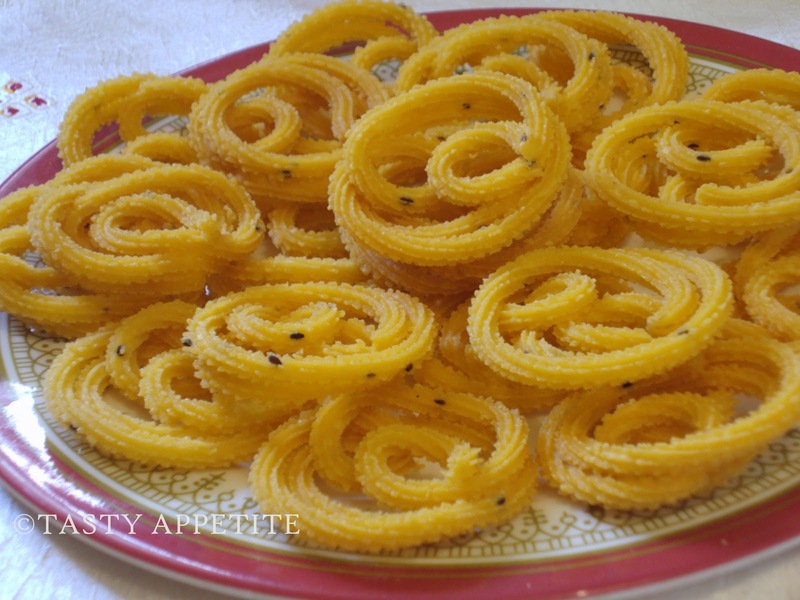 This traditional murukku is very quick to prepare & makes a delicious evening time snack for kids. The healthy recipe involves dough prepared with butter, rice, lentil flours and deep fried in hot oil. Seive both rice flour and besan flour / bengal gram pwd. Put it in a wide bowl and combine both the flours. Add red chilly pwd, salt, asafetida and ajwain seeds. Add warm water little by little and knead it to soft dough. Add 1 tbsp of butter and mix very well. Keep the soft dough covered for 10 mins. Take a small portion of dough and fill in the murukku / chakli press. Grease a ladle with little oil. Press the murukku mould on the greased ladle. Slightly rotate to round shape , until it forms the shape. Carefully drop the chaklis and deep fry them on a medium flame. Turn it to the other side & fry till they become golden brown in color. Remove and place them on a tissue paper. Let them cool completely and store in airtight container. Crispy & yummy Mullu murukku is ready to munch with hot chai or coffee. Hie Jay! These looks great! Yummy and crispy snacks ..
How perfectly you have done it, all in the same shape, fabulous.. These savory treats looks really good! nice and crisp.perfect with a hot cup of coffee. Perfect they are so lovely that will grace any magazine cover. Perfect for snack yours looking so crispy. Looks yummy ! I just love savory snacks ! 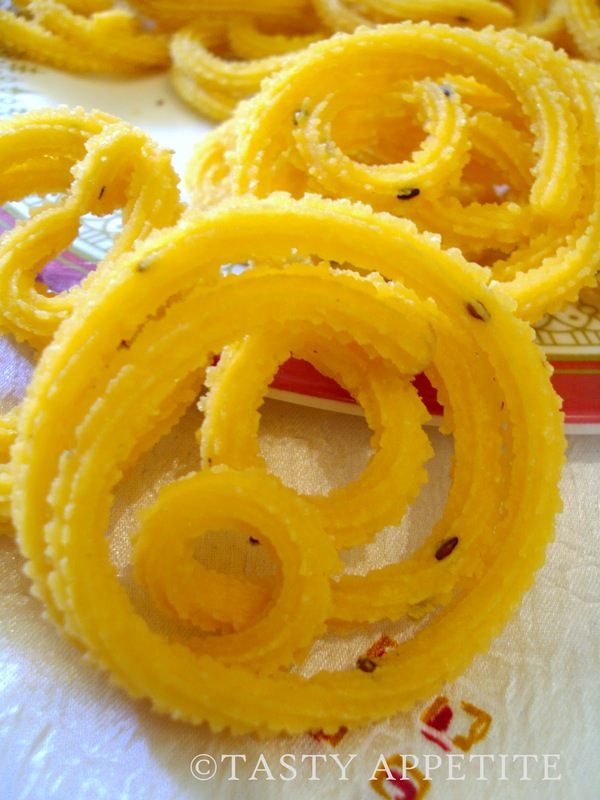 perfect..just today I goggled for this recipe...and now u have posted it..what a coincidence....Chakli looks so yummy....I will prepare this today only...thanks for sharing..
What a fabulous array of murukku..
Hi, That looks really tasty, we have a very similar food, just sweet and not salty. Delicious and wonderful looking murukkus and would love to try it out at home. tempting crispy murukus I wanna grab the entire plate to myself. These look adorable and tasty, good combination. Your blog is fantatic, I´m your new follower. Ohh, chakali was long time since I ate... my mom always makes it! Yours looks delicious! Perfectly done and love it with some hot tea. Yummy, I make the chaklis with urad dal. I had tasted the one with basin at my friend's. Thanks for posting. This looks great, what are Ajwain seeds? Lovely murukku !! Looks so crispy and yummy !! It is pitty I can't find all Indian spices/ingredients in my town. Looks sooo goood! Looks so crisp n yummy gonna try this and post back the feedback soon!! thanks for your precious time friends.. Your muruku look so perfect and beautiful! One of my fav snacks. I have the mould but never tried making it. My mom used to make it all the time. I´m sure they are exquisite! hi jay, wow! such a pretty looking snack.. color so sweet and great photo works.. very appetizing, i like the chili added. must try this cool recipe. Yummy murukku.. Love it. Will try it sometime. Yum, I can probably go through a whole platter of these delicious treats! wowo i love murukus..here in spore i just bought the ready made ones..if to make myself i dont have the gadget to make it..you muruku really look beautiful..
Jay, murukku is one the best food I like from Indian. Yours is simply looking good to me. 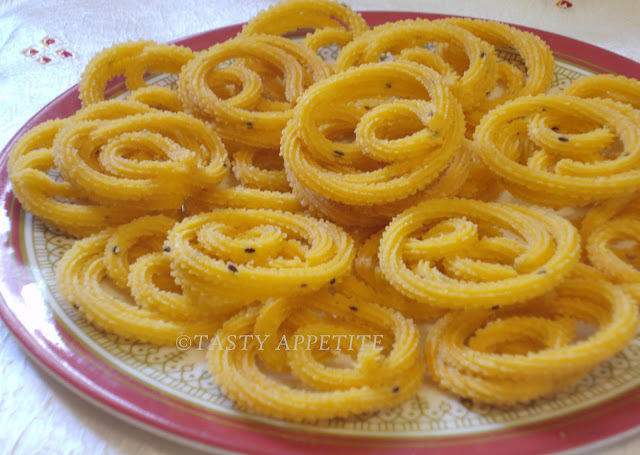 The Murukku and the pics look nice and crispy ! wow...I tried but failed to get perfect. You inspired me to repeat it again. I would love to have some! My family absolutely love murukku! Looks so good and extremely addictive! Jay Oh Jay!!!! I love murukhu for snack... you nearby??? can I drop by??? my favourite!! ¡Anda!, me recuerdan a nuestros churros. Tienen que estar deliciosos. I love the look of these snacks Jay. By the way made the Chicken Cashew curry it was a big hit in our house. I love these. Nice snap.